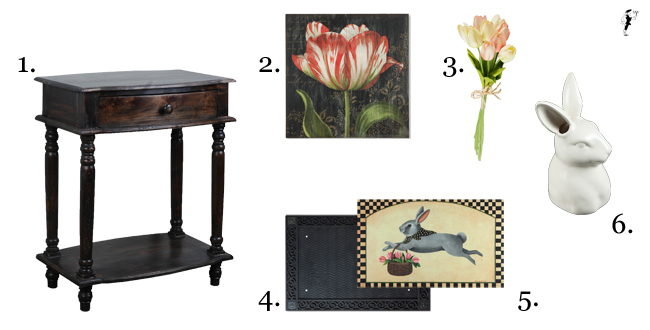 These five must-haves add the perfect amount of country charm to your home, and while each exudes plenty of Spring spirit they all can bring joy to your living spaces all year long (they’re also all on sale in our Spring 2019 catalog). These tealights are a perfect fit. 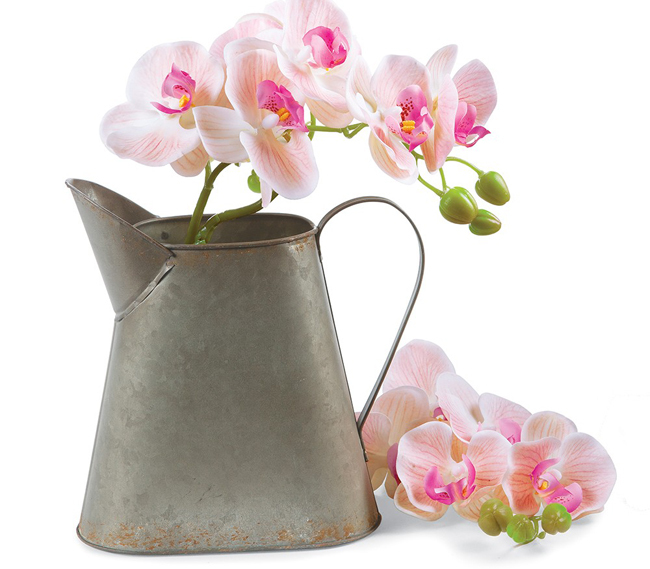 Shown with our pink faux Orchid Stem, but also the perfect container for other flowers and greenery. 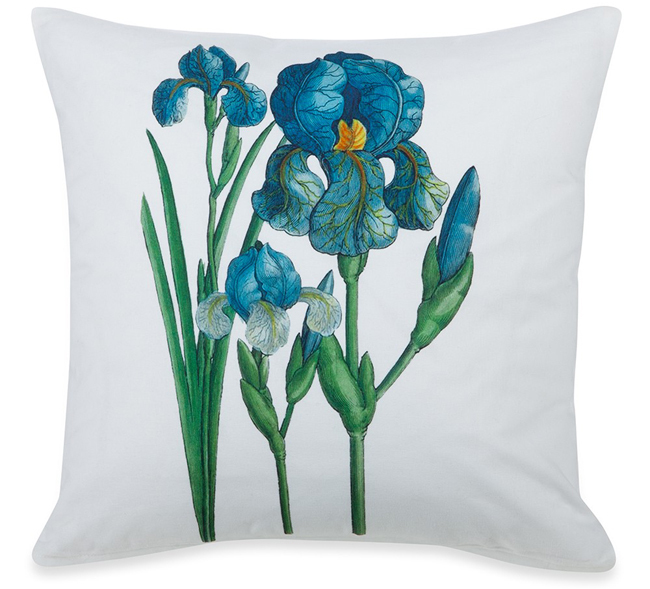 The follow-up to our Garden Hyacinths Pillow. 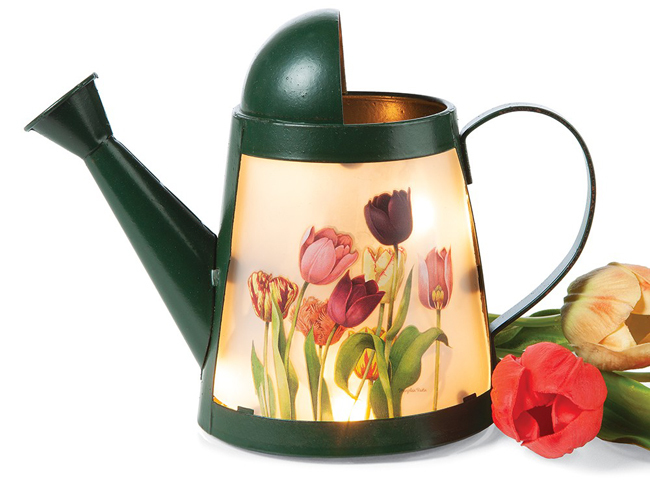 A smaller complement to our first Watering Can Accent Light. The latest addition to our selection of tobacco lath framed wall art. Spring has officially arrived, even though Winter still has a bit of a hold on us here in New England. Nonetheless, it’s the perfect time to start refreshing the rooms of our homes – whether that means diving into a deep spring cleaning session, switching out heavy winter curtains for something softer, or arranging flowers in a favorite vase (or two). We love starting any seasonal refresh in an entryway space, because it’s often the easiest and simplest space to spruce up. We hope that today’s Idea Board inspires you to refresh and recreate the look in your own entryway, and ultimately, throughout your house. Something we always look forward to is the addition of new bird decor to our catalog – especially the spring edition. 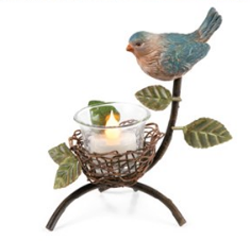 So today we’re shining the spotlight on five new avian inspired home accents from our Spring 2019 selection. 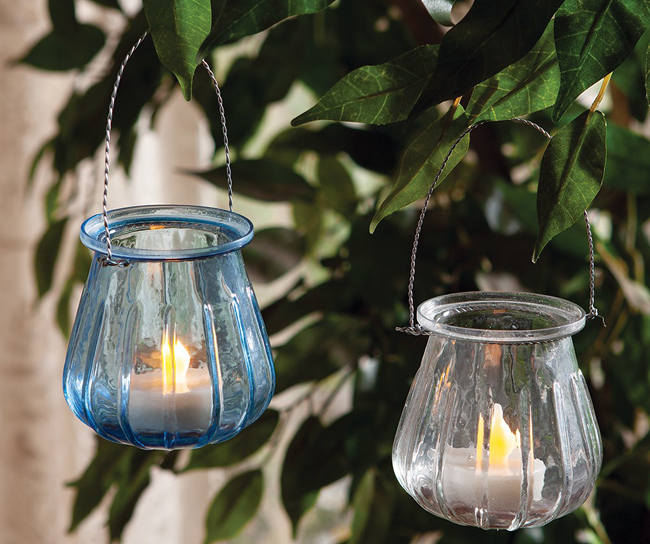 We’ve added two new tealight holders, and while each feature a bird, both bring a little something different to the table. 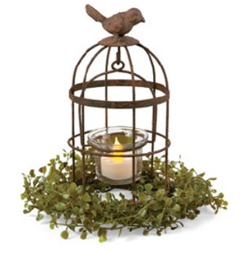 Reminiscent of vintage birdcages, the Metal Birdcage Tealight Holder has a bird sitting atop a very rustic birdcage with a candle holder inside, while the Bird Nest Tealight Holder offers a sculptural look with fresh color and vintage appeal. 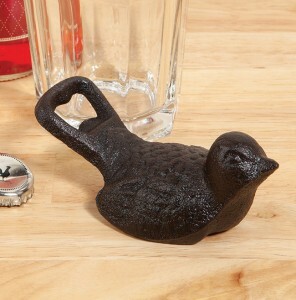 The Iron Bird Bottle Opener is a cute spring accessory, as well as a convenient tool for parties and dinner with friends. It’s comfortable to hold while you open bottles, and will sit flat when not in use. 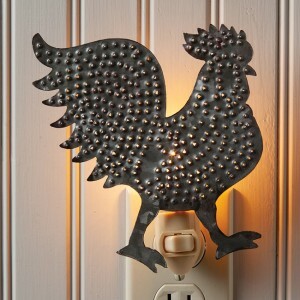 Although a specific type of bird, the rooster is a favorite in farmhouse kitchens and living spaces. 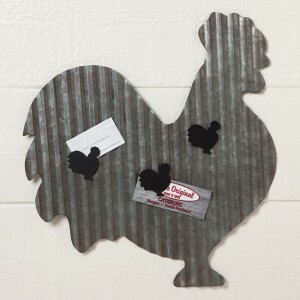 Our Metal Rooster Magnet Board is both functional and decorative (magnets included), and the same goes for the Punched Tin Rooster Night Light. 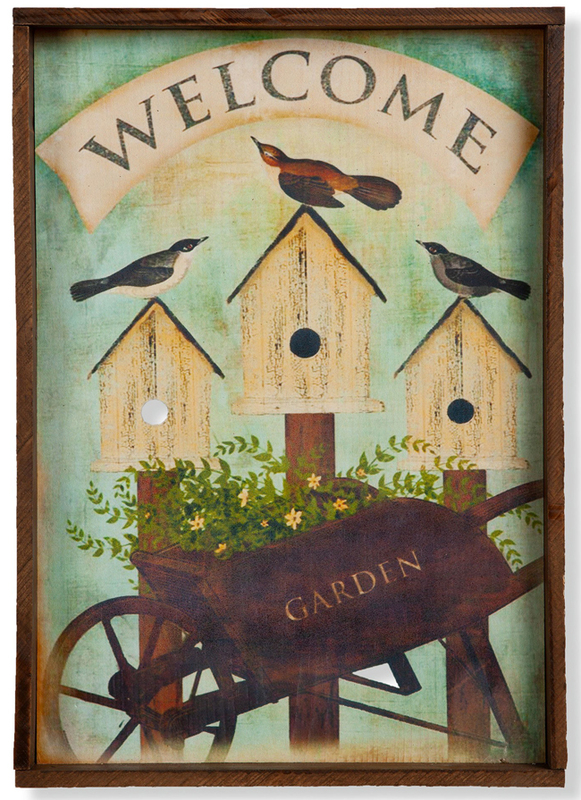 Add some rustic charm to your home while keeping your decor practical.